Printed by Stacey at www.steracle.com. They are as thick as drywall and as soft as cotton. This card could stop a speeding bullet. 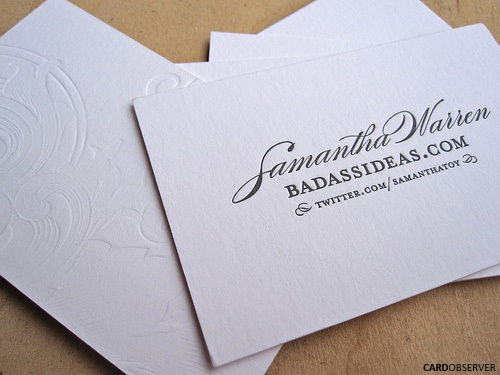 Printed on Crane's Lettra Letterpress 220lb Fluorescent White.